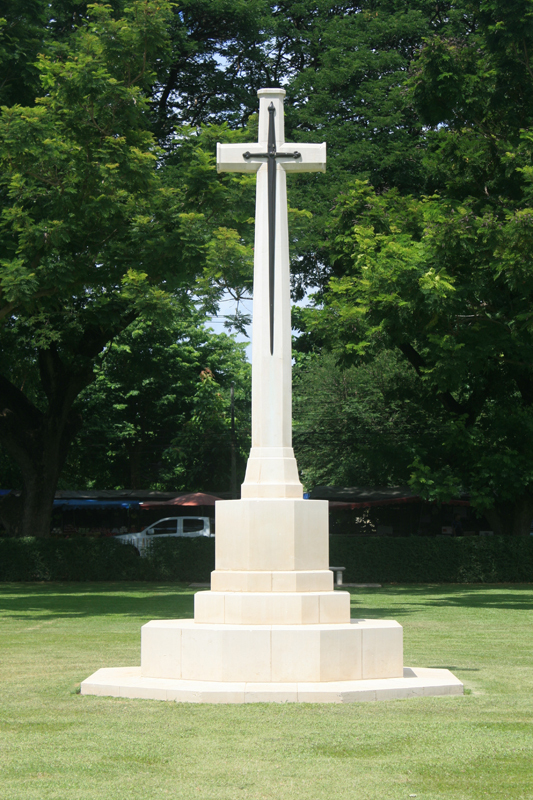 Perhaps one of the most poignant parts of our trip to Thailand was a visit to the Kanchanaburi War Cemetery and Museum on the way to the Bridge on the River Kwai. When the decision was made by Japanese authorities to build the Thai / Burma railway their engineers estimated that it would take approximately 60,000 labourers around five years to complete. As the war progressed, and the Allies solidified their presence in the Pacific, increasing pressure was placed upon the construction crews to get the railway built as quickly as possible. The already inhumane treatment of PoWs and Asian workers, became utterly barbaric and the death toll increased exponentially. Aside from the vicious beatings, mainly from the Korean guards, and being chronically malnourished, diseases such as cholera, dysentery, diarrhoea, beri beri, malaria and septic tropical ulcers plagued the workers and resulted in many fatalities. The chances of survival were greatly influenced by many factors including; the condition of the campsite and its proximity to fresh water, the attitude of the Japanese railway engineers, access to medicines and medical personnel, food and hygiene practices, and the work that the individual was tasked to perform. “The death toll was horrendous. Nearly 39 per cent of those who worked on the railway died”. – Rod Beattie. In his book ‘The Thai-Burma Railway: The True Story of the Bridge on the River Kwai’ from which much of this information is gleaned, researcher and historian Rod Beattie points out two amazing facts. 1.) The mythology surrounding the Thai-Burma railway, mostly generated by the movie “The Bridge on the River Kwai” would have you believe that it was built almost exclusively by Allied personnel. The truth is that 70% of the workforce were contracted or conscripted Asian labourers. Most of these labourers came from Malaya or Burma, but there were some from Singapore and Java as well. 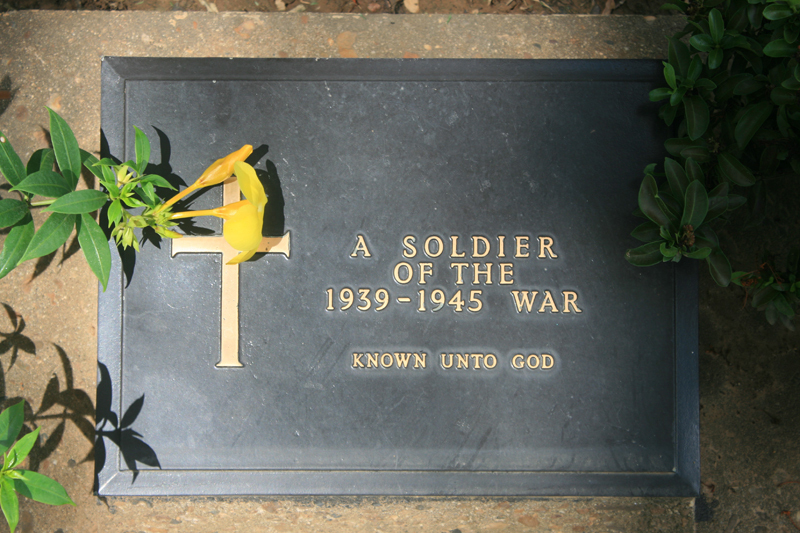 The death rate amongst the Asian workers was more than twice that of the PoWs. 2.) The death rate amongst the nationalities of the PoWs was remarkably similar. “The prisoners of war managed to contain their rate of death to about 20 per cent of the total of just under 62,000.” Rod Beattie. 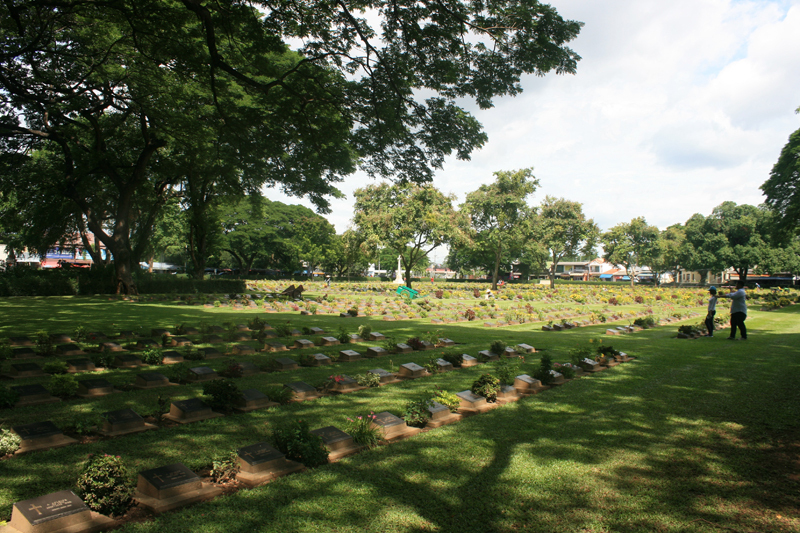 According to the Commonwealth War Graves Commission there are 5,084 Commonwealth casualties buried or commemorated at the Kanchanaburi War Cemetery alongside 1,896 Dutch war graves. Many of the graves are unidentified. Three hundred men who perished during a cholera outbreak and were cremated have their ashes interred within two graves on this site, their names are commemorated on panels installed inside the entrance pavilion. All American soldiers have since been repatriated. No Asian workers are buried here. I haven’t been able to locate the origins of Aminese labourers. No, neither have I. I suggest that it was an older term, possibly even slang or at least colloquial, for people form some section of South East Asia. Please let me know if you do find out for sure. That must have been an amazing experience. We never made to Hellfire Pass this time, but we are planning another trip in the future. Beautifully kept cemetery. I’ve lived over 20 years in Thailand and been here and to Hellfire Pass several times but I didn’t realize that the ashes of 300 Cholera victims are here too. Perhaps they should be identified differently for easier recognition. May those who lie here and their many unnamed Asian brothers ever be remembered. It really is a beautifully kept cemetery with all nationalities treated equally.